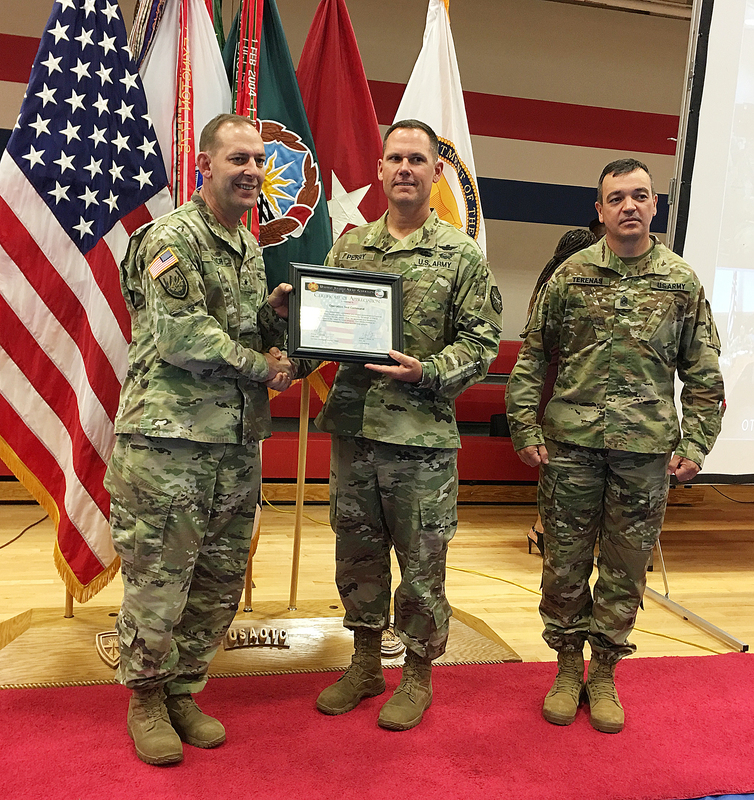 FORT HOOD, Texas — A certificate of appreciation for reaching top honors with 760 volunteer hours with the post’s Adopt-A-School program was presented here Wednesday to the unit that tests all Army equipment systems. 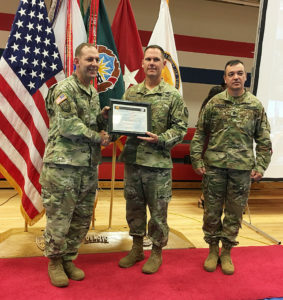 Fort Hood Garrison Commander Col. Henry C. Perry handed the award for outstanding community service to U.S. Army Operational Test Command (USAOTC) Commander Brig. Gen. John C. Ulrich for the unit’s connection with Florence, Texas’ Florence Independent School District (FISD). “It is more than checking a box for the Adopt-A-School program,” said Angelica Salinas, the post’s school liaison officer. “I would say they willingly exceeded the expectation,” Salinas said. “Establishing a meet-and-greet with leadership from the unit and the school at the beginning of the school year; that helps set the tone and the guarantee of a successful partnership,” she said. During the 25th Annual “Make a Difference Day,” USAOTC volunteer Soldiers combined with Copperas Cove Independent School District JROTC students to focus on improving Florence ISD’s Elementary School playground with light maintenance, including painting, and general grounds keeping at the Middle School and High School sports fields. As the Army’s only independent operational tester, USAOTC tests and assesses Army, joint, and multi-service warfighting systems in realistic operational environments, using typical Soldiers to determine whether the systems are effective, suitable, and survivable. USAOTC is required by public law to test major systems before they are fielded to its ultimate customer — the American Soldier.